+ Drag and drop for speed and convenience. 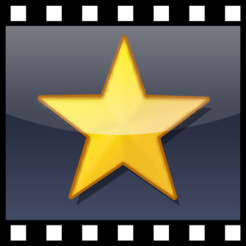 + Record video directly from VideoPad application or use pre-existing video files. + Apply artistic effects and filters, like: ripple, dots, dream, hue cycle, two-tone, or x-ray. + Take advantage of plugins to gain access to thousands more effects. + Make color corrections with color curves, exposure, transparency, and much more. + Add text and captions to create a storyline. 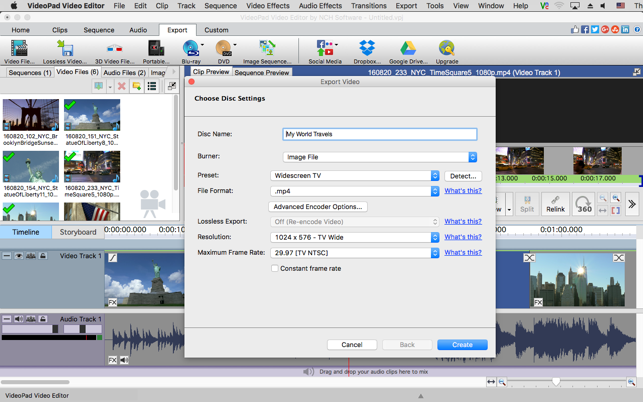 + Use batch edit to edit multiple files and clips at once. 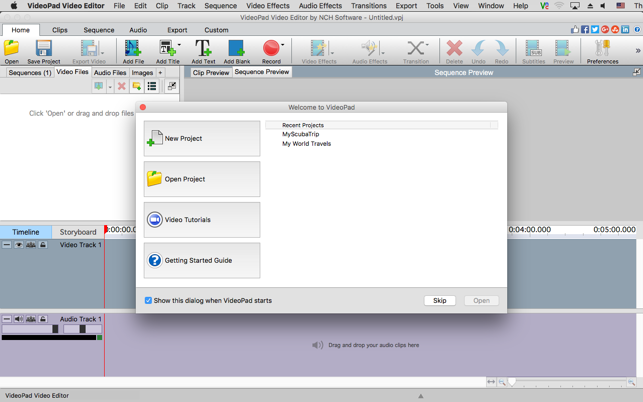 + Drag and drop in audio files or record directly from the VideoPad interface. 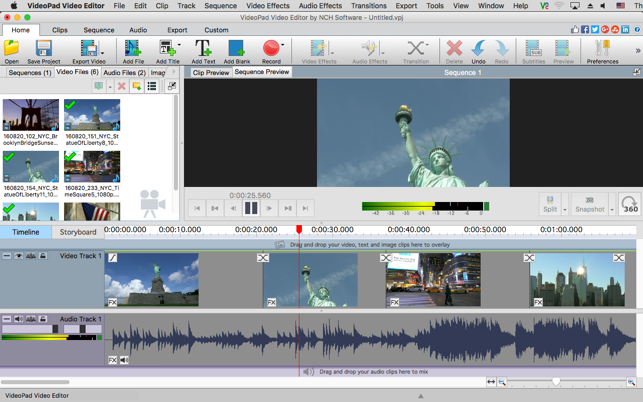 + Edit sound by using cut, copy, fade, split, and other editing tools. 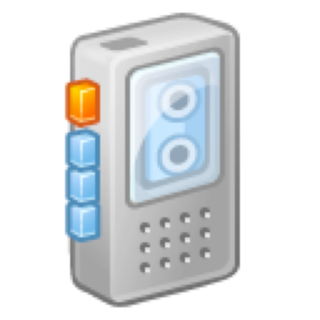 + Convert text to audio by using the Text-To-Speech feature. 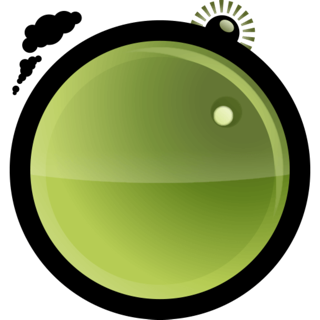 + Include stock sounds from the NCH Sound Library. + Tell your movies story by creating narrations. + Load music directly from a CD. + Apply audio effects, like: amplify, compressor, flanger, or reverb. + Share online directly to Facebook, YouTube, Flickr, Dropbox, or Google Drive. + Burn to DVD or blu-ray to watch later. 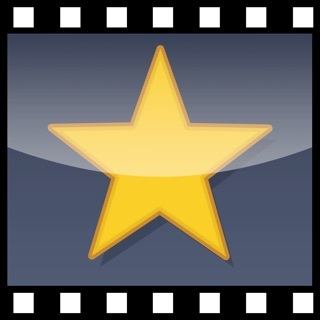 + Export your movie onto portable devices, including your PSP, iPod, or iPhone. I hate admitting it but this thing has made me cry multipe times over multiple projects. It can do a lot and is really easy to figure out, but is a nightmare once you finish what youre working on. I recently finished the first draft of a video, about a months worth of work, and everything was going smoothly until I started trying to go back through from the beginning again. Suddenly it takes about an hour to load and process the files when it didn’t even take a minute before, and it crashes after about a minute or two. What’s worse is I tried editing a video clip at the very beginning and it messed up EVERYTHING. Video clips are now overlayed and I have to find them to seperate them, audio is no longer aligned with the video, text and extra audio is all over the place. This insanity also started happening on my last project, but I was able to just save and export it before anything too bad happened to it, even though it wasn’t finished either. And I last about half my work on the video I finished before that one, just gone like I never did. I kept coming back to it because it can do most everything I want to do while being free, and I keep hoping maybe it was really me messing it up or that the updates will have fixed it, but it just keeps reuining projects I’ve spent weeks working on and will not allow me to fix them. It could be a great video editor if it didn’t destroy the every video you use it to create. Let me guess, you’re looking for a video editing app that isn’t $500 and is easy to use. 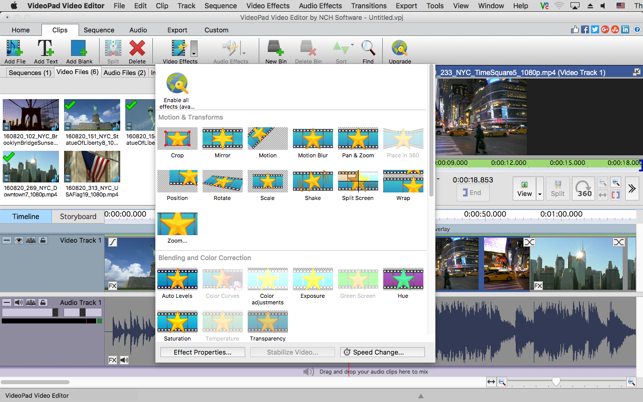 VideoPad Video Editor definitely isn’t $500 (currently $99), and, while it is pretty intuitive, it’s not without shortcomings. 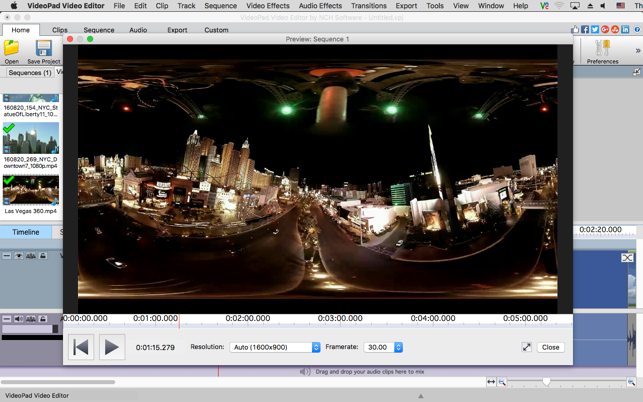 I’ve used the free version of VideoPad Video Editor to get by on small projects without much of an issue. The limitations are saving files in high resolutions (I believe anything over 1200x1200), no audio FX (minus fading in / fading out) and a few others. I’ve came so close to paying the $99 to fully experience VideoPad, but some of the lackluster qualities of it have really made me reconsider. 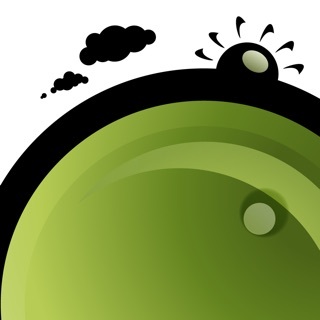 The biggest, and most frustrating, is crashing. Yes, there is an autosave, but, with my minute long video project, if I try to shorten any of the audio clips, the app crashes. There’s no worse purchase than food you don’t like, but spending money on a video app that prevents you from completing the task is a close second. The second, though nitpicking, is the app is pretty dated UI-wise. I grew up using a variety of command line-only apps, so it certainly can be worse. The year is 2018, and a facelift would be a bit more welcoming. In short, don’t expect the world from a free video editing app and dont expect it’ll get better just because you paid. ~~ I will gladly update this review if these issues are revised. If a log is needed for figuring out the crashes, feel free to respond with how and where to send, and I will do so promptly. We hope to hear from you soon and apologize for any inconveniences you've had. I only recently got into video editing by accident. Wanted to crop a home movie and could not find inexpensive software that could do what I wanted. Have very little background on editing and related tools. I found the program fantastic in what it could do, versatile, and easy to use. I have been trying different stuff and I really like it, so much so that I am thinking of asking my boss to spring for a license or Pro version so I can use it at work. Very much recomend it.